European Central Bank President Mario Draghi delivered a strong message to global markets Thursday when he said that there would be no changes to the bank’s fiscal policy and that interest rates would remain at record lows. However, he did hint that the ECB would likely reconsider during its June meeting its interest rates policy in the face of very low inflation in Europe. “The governing council is comfortable with acting next time,” Draghi told a news conference. But he indicated that the ECB wanted to see the latest data on European inflation rates. The data is not likely to be promising for those worried about too-low inflation. Although the European Commission has insisted that the risk of deflation is low, the ECB has been more concerned. 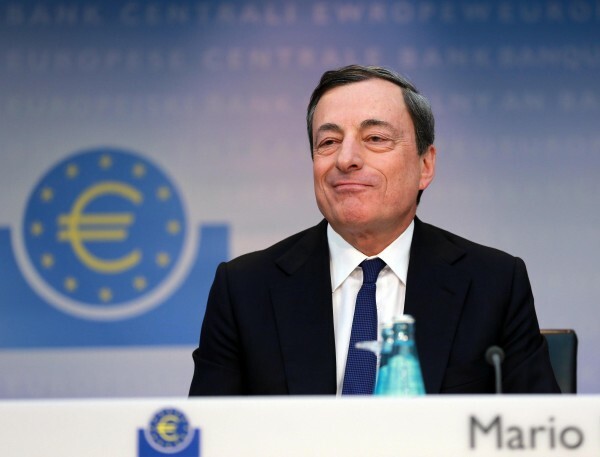 On April 3, The ECB held interest rates at 0.25 per cent, largely meeting analysts’ forecasts, but at the time, Draghi sounded a cautionary note about very low inflation data throughout the 18-member eurozone. Recent data has the average at 0.5 per cent, and the bank says that low inflation – or deflation – can postpone growth as consumers wait for bargain prices for goods and services. Some analysts believe that the strong euro performance against the dollar may also be a cause for concern. “The strengthening of the euro in the context of low inflation and still low levels of economic activity, is a cause for serious concern in the view of the Governing Council,” Draghi told a news conference on Thursday. Ahead of Draghi’s statements, the euro rose to a 30-month high against the dollar; following his statements it slid a meager 0.4 per cent.